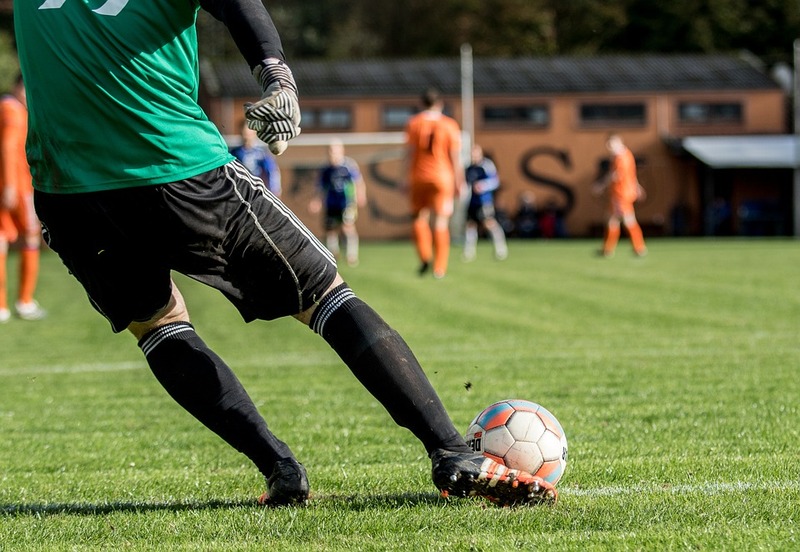 goalkeeper’s performance is the deciding factor in many victories- and many defeats. 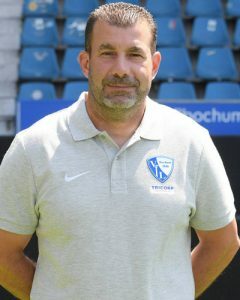 In this post I will share with you guidelines that I consider essential for a good goalkeeper training! for players’ age and ability level. Make practice intense, focused, varied and interesting – from 60 to 80 minutes, depending on the age level. A rule of thumb: Always move from easy to hard, from simple to complex. Practice new techniques by themselves at first, and then gradually combine them. 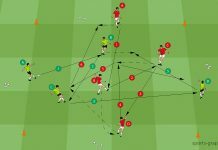 Always combine coordination training with goalkeeper-specific technique training. 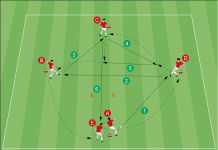 Use warm-up to prepare players for the main session ‘ s focus point. Use general discussions and individual corrections to address mistakes (focus on the major problems); offer simple solutions. Instead of long sets with lots of repetition, exercises should be short, intense and demand full concentration. Exercises should approximate actual match play. Goalkeepers need goals (even if they’re just two cones) in every exercise, as clear points of reference and orientation. Include motivational exercises at the end of every practice session. 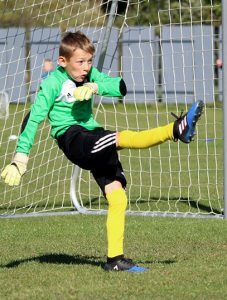 It’s a good idea for all goalkeepers to practice with other age levels; for example, 9- to 10-year-old goalkeepers should practice regularly with the 10- to 11-year-old team, whose goalkeepers should practice with the 11- to 12-year-olds, etc. (An advantage is that they become more comfortable playing with players who are older and physically more mature) . Players who learn the wrong moves when they’re young will have a very hard time correcting the problem later. and physical abilities continuously at every age level. effective in the lang run. If you want to be a big star, you have to start small! Should I incorporate goalkeeper training into my regular team practice? The practical question of whether goalkeeper training should be incorporated into the team’s regular practice sessions cannot be answered with a simple yes or no. In professional soccer, separate goalkeeper training is practically the rule (apart from team and group tactics training, which requires goalkeepers and field players to practice together). At lower levels and in youth soccer, separate goalkeeper training usually runs into a major obstacle: limitations on the coach’s time. For many of these teams, a separate goalkeeper training session even once a week would be a major accomplishment. 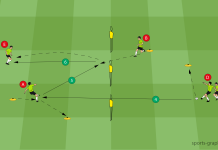 And at least some parts of the general training program – crosses from the outside forwards, 1 v. 1 situations in front of the goal , and similar exercises – do provide plenty of action for the goalkeepers.